Who doesn’t love holidays? Everybody does. Should you ever think of going to a hill station for a vacation, to bask in the glory of nature, to watch the amazing gifts that God has bestowed to you, or to revel in some adventurous activity, then it would definitely have to be the Shimla Holiday Package! This is a hill resort, waiting to be discovered, if you haven’t been there already, or desiring to be revisited, as it is steeped in history or mythology, and carries a rich ancient culture with them surrounded by picturesque and fascinating hills along with a quaint old-world colonial charm, which was architecturally developed by the Britishers. The natural beauty is Indian, however! So, go for that rejuvenating holiday, take your family along or go alone, if you will. You could express your desires as to what you seek, low mountains, snow-clad peaks, fast-flowing rivers, gentle streams, cheerful meadows, hills and dales, lush forests, or all of these and you would get the choicest of travel packages. Himachal means the `Land of Snow’ and the physiography of this State is portrayed with an intricate mosaic of hills, valleys, fast flowing and turbulent rivers and soaring high mountains covered with snow. Shimla also known as Simla, is the capital city of the Indian State of Himachal Pradesh located in Northern India with a mystical aura engulfing the landscape and the hill station has a youthful vigour in its pace. It’s easy accessibility and several other attractions have made it one of India’s most popular hill resorts as there are many unforgettable walks, day-excursions by the dozen, a variety of convenient shopping and entertainment museums, and ice-skating in winter. 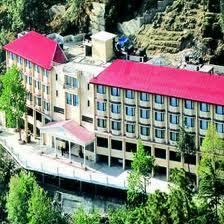 Shimla is the base or the unwinding point for numerous exhilarating routes to the state interior. It also has a today and the town is distinctive for its variety of architecture. It has one of the rare surviving urban forests, made all the more unique, for its species are temperate to alpine ones in what is otherwise a tropical zone. Ho, then the famous Mall offers one of the longest stretches of pedestrian shopping in the world. 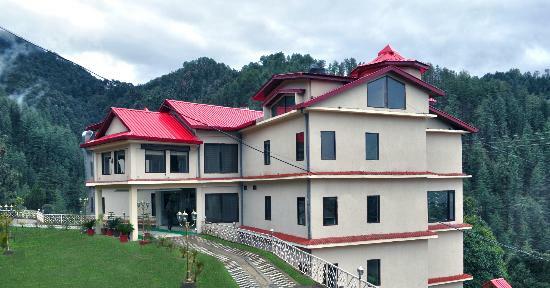 Within and around Shimla, the public and private sector offer an enormous range of accommodation that range from modern to heritage hotels. 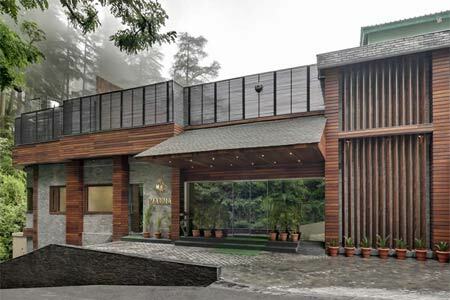 Like satellites placed around the centre, there are many resorts in the hill station’s periphery that are full-fledged destinations in their own right. These are located at Mashobra, Naldehra, Kufri, Shilon Bagh and Chail. 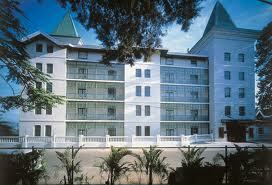 En route by road from Kalka, there are the resorts of Parwanoo, Dharampur and Kasauli. If you are fond of walking, this region will unfold parts that remain hidden to vehicles. Combinations by car and then on foot are possible in several areas and it is suggested that you take convenient directions and then cover the places of interest. The area around the Institute of Advanced Study has several walks and tourists may combine these with a visit to the State Museum. There is a collection of miniature Pahari paintings, sculptures, bronzes, wood-carvings and also costumes, textiles and jewellery of the region, and following that expand if you will towards Kamna Devi. The Tara Devi hill has a temple dedicated to the goddess of stars on the top and Sankat Mochan, another Hanuman temple, is famous for the numerous monkeys that are always found in its vicinity and can be linked with a short train ride by the Himalayan Queen that leaves Shimla in the morning and is recommended for this trip. Jakhoo has several paths that criss-cross the hill and can be combined with a stroll and shopping on the Mall and in Lakkar Bazaar. Having an extravagantly gigantic statue of the God. Move inside this exquisite holy stone structure to seek his Blessings! 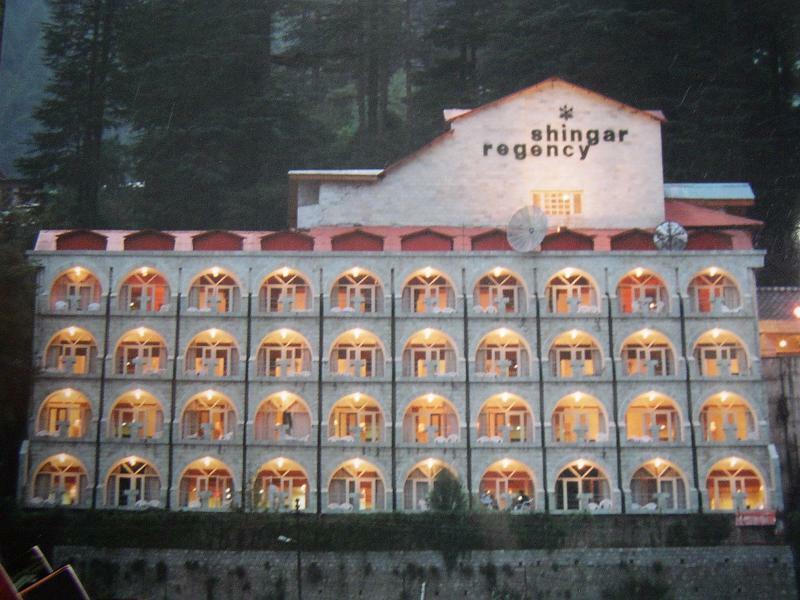 So tourists, get ready to engulf yourself into the arms of a mesmerizing enigma on the Shimla Holiday Package! Continue with your sight-seeing at the Shimla Mall, which is the longest stretch of open-air pedestrian , eating-strolling-shopping promenades in the world, as the expanse extends from the Mall to the Viceregal Lodge, evident of the English renaissance style castle-like appearance, which defines the heritage zone of Shimla, and is now the Indian Institute of Advanced Study, surrounded by assorted cottages, lending the visitors thriller-drawn horse rides, ice cream vendors for that sweet taste, hot bhuttas, bars and restaurants to enliven their spirits, and cosy benches to view the magnificient surrounding hills, draped in cedars and cypresses, and hugging the thick wooden trails. The Ridge is a flat, open area again with horse rides, shops and photographers with an intriguiging Scandal Point, named because of the romantic rendezvous that were arranged here. The Lower Bazaar that runs parallel to the Mall at a lower level has the flavour of a typical Indian market place. Trinkets that can be purchased here include silver jewellery. 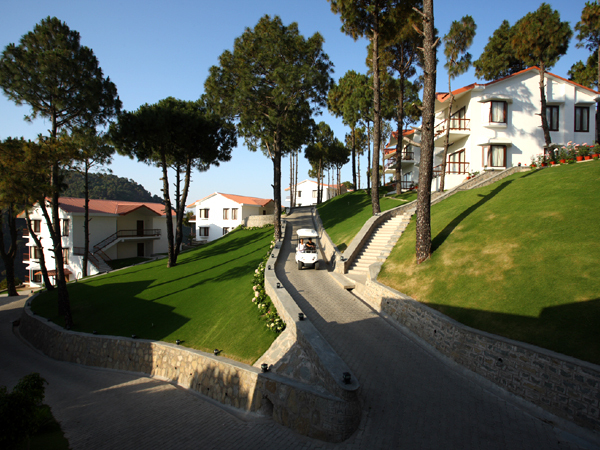 You can also walk towards Chotta Shimla and Raj Bhavan, the residence of the state Governor. 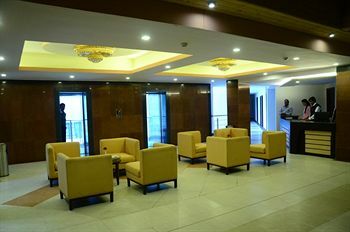 The recently created rooms of Himachal Darshan offer a glimpse of the various districts in the state. The Glen, and the narrow forest trail that runs above it and loops around Summer Hill. The Bharari spur. The Elysium Hill affords sights of Shimla’s spreadout below. Further up the Elysium, the villages of Pabo and Kamiana goes over picturesque trails. Most of this hill station has diverse colonial forms culled from all over Europe, and the he neo-gothic art is reflected in the Gorton Castle, now the office of the Accountant General and formerly the Imperial Civil Secretariat, though the Secretariat of the Himachal Government at Ellerslie, and the Gaiety Theatre on the Mall, define the norman-baronial form of architectural-style also evident in the District Courts. Swiss- Bavarian chalets are endorsed on the Chalet Day School and Cedar Lodge (Punjab Government Rest House).The tudor-style is evident in the Library on the Ridge and the Barnes Court. It would be fascinating to visit the Christ Church, as the silhouette and its cream coloured spires, with rich and intricate stained glass windows depict all the virtues St. Andrew. A week’s time or a few days over that would give you a healthy sampler of Shimla as dividing your time between the town and suburbs or the peripheral region is suggested. A good time to do the walks is the mornings, and a visit to the Mall is the ideal plan for the evenings. When visiting the suburbs, plan for the day and in season, an appropriate activity like ice-skating can be pursued. As the capital of Himachal Pradesh, it is a treat of heritage architecture and urban fun for the visitors, although Shimla’s own denizens flock to the Ridge and the Mall to eat `bhuttas’ under their umbrellas in the rain. 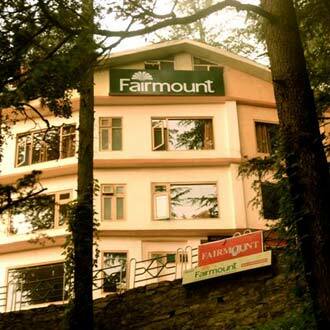 Absolute and complete for a perfect getaway on the Shimla Holiday Package! The closeby destination of Kufri is the local winter sports centre, and also has a small zoo called chharabra, which could be another desirable spot for the tourists. The name Kufri is derived from the word "Kufr" meaning a lake in the local language.This place has a Himalayan Wild Life Zoo which hosts rare antelopes, felines and birds including the Himalayan monal , the state bird of Himachal Pradesh. During winter, a meandering path through the potato plantations turns into a popular ski track. One can hike through thick forests around Kufri to the Mahasu Peak- the highest peak in that region. The Indira Tourist Park is near the Himalayan Nature Park and provides a panoramic view of the locations around. It is the Kufri Chini bungalow which is very famous for its statues and architecture. The Kufri Fun World is an amusement park to enjoy the whole day and an excellent place for the family to make a memorable funfare, as it is equipped with various rides, pools and world's highest go-kart track. A huge number of children, teenagers and adults visit this place. Tourists could move on to Chail, which was built as a summer retreat by the Maharaja of Patiala during the British Raj, and is known for its cricket pitch, the highest in the world. It is also considered the hiker's paradise, and the area is away from the bustling life of the state capital. The Shimla Chail combination stipulates for the adventure seeking tourist, as it is located in several mountain ranges and dark green forests. The Chail sanctuary has 'ghoral', 'kakkar', 'sambhar', 'red jungle fowl', ‘khalij’ and 'cheer' pheasants. The Machan is like sighting posts that have been built at Khuruin and tourists to this place have a great account of adventurous activities to perform and make their holiday unforgettable. Bamboo Bridge Adventure Activities includes the Bamboo Bridge to cross a river which is a unique and an adventurous task to perform that thumps the hearbeats!. 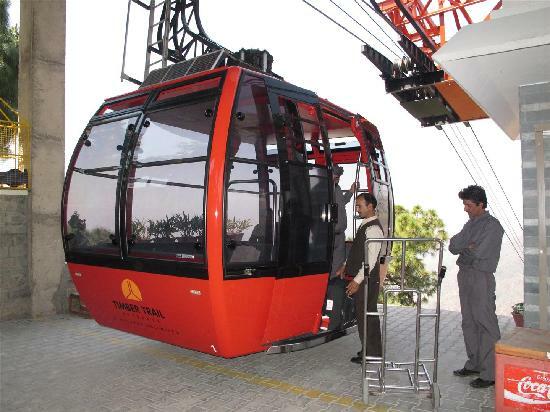 The Flying Fox is little dangerous to perform, hence it is being trained by the professionals in this are, as for the daring tourists, it would make them feel as if they are flying through the forests of Chail. The Rope Walk is walking over the rope which could be little challenging at a high altitude, but an exciting and safe experience at the same time, though balancing on the rope is very much important while performing this task which you could manage with expertise guidance!. Rock rappelling needs experienced instructors with excellent gears, who can get the thrillers to perform this activity with control. The Burma Bridge is Asmall Bridge of cable made capable enough for tourists to sway away from one corner to another, but they are offered proper protection all over the bridge to avoid any kind of harness. The Tyre Bridge is a chain like bridge made up of tyres with hand rails on either side to hold while crossing the bridge to lend support. With an abundance of options, there is only frolic and enthralling moments on this Shimla Holiday Package! The Shimla arts and crafts are highly in demand by the tourists and they range from excellent pieces of jewellery, embroidered shawls and garments to leather made articles and sculptures. The hill station is full of pine and deodar trees and the wood has been extensively used in building the temples and palaces of hill station. The various kinds of arts and crafts made out of wood include small boxes, jewelleries, fruit bowls and other image carvings. The paintings bear the deep artistic insight of the people there and the art bears the testimony of the rich culture and tradition of the region. The flamboyancy of the carpets and rugs is a great attraction for the tourists and different floral and other motifs make these carpets look really very beautiful. The wool from the sheep is used to make blankets and rugs. The embroidered stuffs are very popular that includes handkerchiefs, hand fans, gloves and caps. The arts and crafts have that traditional touch in it and among others; the shawls here are of very fine quality. The leather crafts are also is very attractive and beautiful stuff of leather comprises of shoes, slippers and belts. The other arts and crafts include a huge collection of amazing beaded and metal jewelleries. This intricately designed jewellery bear the hallmark of the artistic craftsmanship of the designers. For food, most eating places offer North and South Indian, Continental and Chinese food and some of the cuisines are served in the midst of wood-panelled and chandeliered elegance. Snacks, such as burgers, pizzas, pastas, ice creams, milk shakes, pastries, cakes, samosas, pao bhaji and the ever delicious chole bhature, in addition to the all-time favourite bhuttas! Shimla features a subtropical highland climate, predominantly cool during winters, and moderately warm during the summer. Recommended for a visit throughout the year, as there is a treasure trove of activities to get involved with on the Shimla Tour Package!